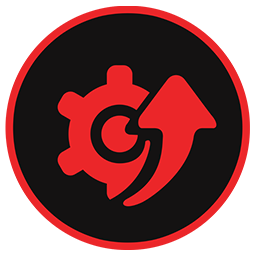 Driver Booster Free 4.4.0.512 - Automatically get recommended drivers and updates for your hardware with Driver Booster. With a 200% larger online database, Driver Booster is the best driver updater software that can automatically scan and fix over 400,000 devices and PC drivers provided by more than 5,000 companies. Users can easily update Intel driver/Realtek ethernet controller/wireless lan/network/HD Audio Drivers, Intel Audio/HD Graphics/WLAN/LAN/chipset/rapid storage technology/usb 3.0 Drivers, Nvidia drivers and all important driver packages by Microsoft with the help of Driver Booster. Users will be free from problems such as slow internet, computer freezes and crashes, as well as conflict with peripherals caused by outdated, missing or incorrect drivers. Driver Booster helps you find the right driver updates for Windows 10 systems. To let users enjoy smooth and fast game experience, Driver Booster not only helps improve graphics and audio quality with related up-to-date and compatible PC drivers, but also can detect and update various game components with just one-click, such as PhysX, DirectX, OpenAL, VC Runtime, Adobe Flash, UnityWeb, etc. VC Runtime 2013 is also newly supported. Driver Booster has made some improvement in the download process. With an advanced driver compression algorithm, a driver package in Driver Booster would be at least 30% smaller than its original size resulting in greatly reduced download time. Driver Booster also offers faster download speed and allows downloading and installation during system idle time, letting users focus on job at hand without any disturbance. Driver Booster allows you to update your drivers more safely and securely than any other driver updater. To ensure the safety of users’ computer, only qualified WHQL drivers are provided by Driver Booster. Driver Booster automatically backs up a previous copy and create a system restore point before updating, in case anything unexpected happens. Automatically checking and fixing the display resolution issues after installation is also a newly-added feature to Driver Booster.